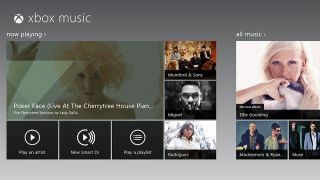 Microsoft has announced that Xbox Music users will no longer be able to stream tracks for free from December 1. Currently a free ad-supported version of the service is available over the internet and on Windows 8 and Windows 8.1 devices, while an £8.99/$9.99/AU$11.99 monthly subscription will give you ad-free access on all your devices, allow for offline listening on PC, tablet and phone, and give you access to over 90,000 music videos on the Xbox 360 and Xbox One. So if you want access on your console or your phone then you already have to pay anyway, but from December 1 the more limited free version won't even be an option. By way of an explanation for the change, a new FAQ states that "we are focusing Xbox Music to deliver the ultimate music purchase and subscription service experience for our customers." Current subscribers will be unaffected by the change and any songs you've bought outright will of course still be available, but if you're a free user you might want to start looking for an alternative service, such as Spotify, which still offers a free option - or get ready to stump up some monthly cash. Google's got a rival streaming service.